Saturday Night at the Movies 9/29/12! DC has been putting out some cool animated features the last few years, and I was scooping them up as fast as they were coming out there for a while. 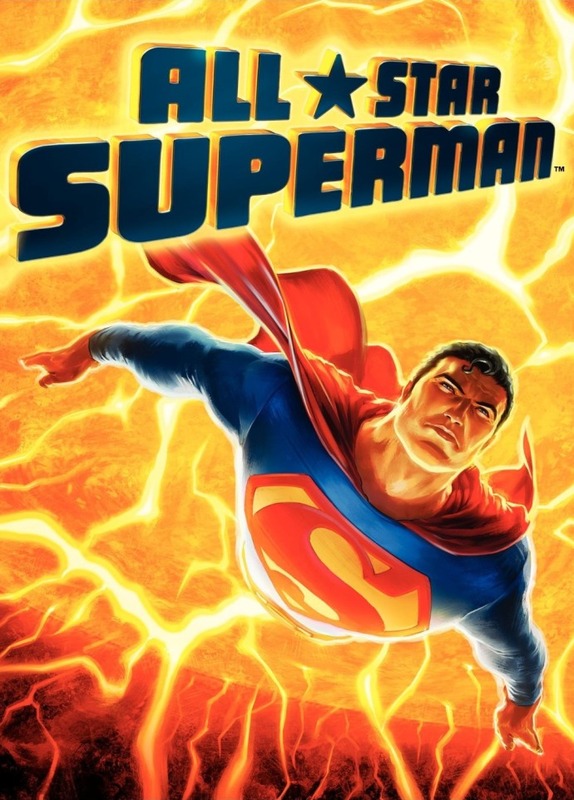 This one features the voices of James Denton (Desperate Housewives) as Superman and my old buddy Anthony LaPaglia (Empire Records) as Lex Luthor. I haven't watched it yet, but it's adapted from a well regarded Superman story, so I think it looks like it'll be a fun watch. It resides in the video vault on a swell Blu-Ray, and we could be checking it out together if you made the trek to my place - even this evening! I Was a Teenage Production Assistant: Super Mario Bros Part Two! Here's part two - wherein you might be wishing I'd broken this into three parts. After basically doing the job of extra wrangler for Stefania Goodwin for several days, I moved over to "day playing" as a production assistant, with "day playing" meaning being hired on a day to day basis, not for the run of the show. I continued just as I had, working with Stefania in Dinohattan until that sequence was finished. 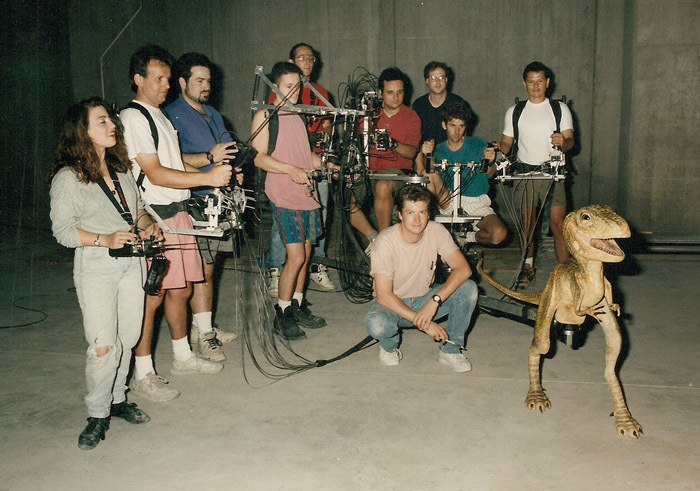 Stefania was moving on to be first assistant director for the Visual Effects unit, and for their prep period she was not going to be allowed any production assistants. So, I cast around, and lucked out - second unit was about to start shooting downtown in Wilmington, and Cyndie Williams was one of the AD's for that unit! A quick catchup - Cyndie and I had met on my previous film adventure Amos and Andrew, and she'd introduced me to her boyfriend there, saying I was a great guy and she'd hire me on her next show. And here we were - on her next show! Earning my eternal gratitude, Cyndie made good on her promise to hire me - and I was put on second unit as a regular working PA for two or three weeks - awesome! "Yay! Craig's been hired on second unit! He'll be out of our hair for a week or more." "I wish I still had hair." I was joined by formerly mentioned Jeff Johnson - now also PA-ing. We were working for a guy named Rob Albertell, who has gone on to a lot of movies and TV shows as an assistant director - and does not apparently list SMB on his resume anymore as it's not on his IMDB page either. I guess he is not credited? (And let's address my lack of credit here - sadly, all of my bosses dropped the ball, all thinking I would be put in for credit by one of the other units - of course none did put me in for it - so I ended up with nothing. Sadly it would take 7 more years before I saw my name on the big screen on the movie Virus in 1999. This is my credit from Stephen King's Night Flier - courtesy this blog's good pal Maynard Morrissey! Expect to see it again in that movie's post! But I digress. 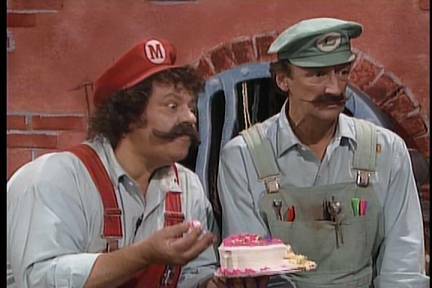 We were downtown to shoot the Mario Bros with the van breakdown, the first restaurant scene (which I think was reshot later on stage?) 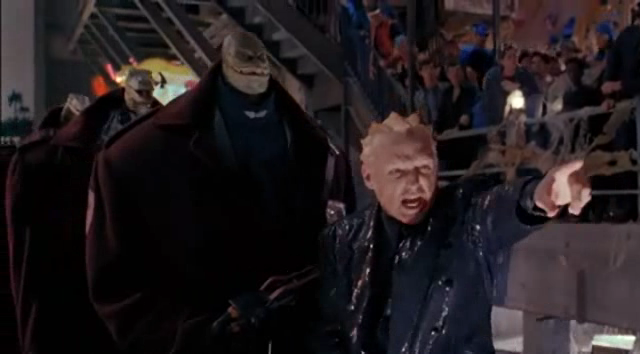 and quite a bit with Spike and Iggy and their stunt doubles. 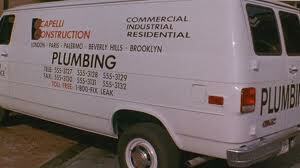 van was a shot we did with second unit. We based ourselves and the extras in a sandwich restaurant that I think wasn't doing that great - so they rented the place to the movie for the day(s). It was on Princess between Front and Second. I think it is a bar these days. We were shooting all over downtown for various bits and pieces. The stretch where the van breaks down is on Princess between 2nd and 3rd streets. We had photo doubles for everyone, but we also got Johnny Legs and Samantha and later Fisher and Richard. When Mario is working on the van while John talks to Samantha - that's a double, at least part of the time. My main function was to stand out of sight up on 3rd Street and send extras walking back and forth in different groupings. No madam, I do not remember meeting you last year, and no, I was not in any movie called Super Mario Bros! 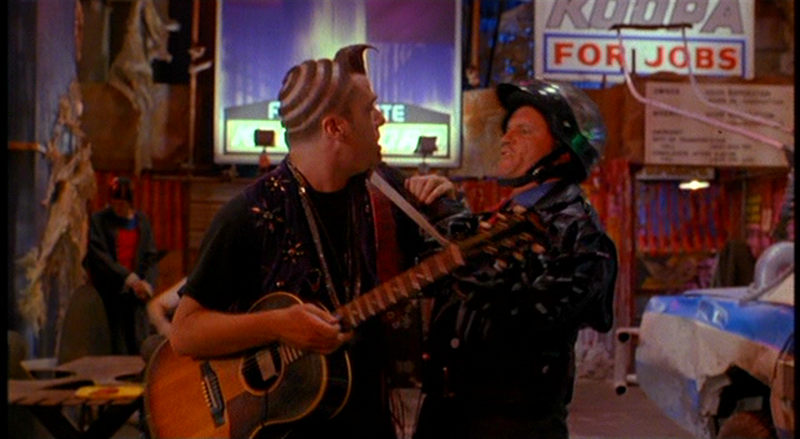 After that sequence, we did a lot with Spike and Iggy and their surveillance, and we had them doubled for some stunts - I was amazed at how sloppy the stuntmen were put together - standing next to them, obvious baldcaps and wigs, etc. On camera - I guess they look okay - though I'm not even sure how much of what we did ended up in the movie - I should watch it again soon! During this run we also shot something with a cab - they were having fits with the lights in the cab for the shooting - this was at night - it was coming up on midnight and had been an eighteen hour day. This was close to the MB apartment - which we also shot establishing shots of. The apartment was built at the cement plant, but I missed those days - think they may have shot them before I came on the show. For being shunted over to second unit, Fisher and Richard were okay - a little wild, a little rambunctious - both had an eye for the ladies - despite Fisher dating Michelle Pfeiffer at the time - she visited the set - but that was during Dinohattan! Wow she was gorgeous! I worked with Richard again three years later - he was much calmed down then I have to say. There's actor Mark Miller in his second role - the street vendor - on the left. the movie, for obvious reasons. After second unit, I worked days with first unit again as a day player PA, then got a few days work on the blue screen unit (officially dubbed the Visual Effects unit) working for my new pal Stefania Goodwin, who was being the first AD for this unit's director, Christopher Woods. Although it was initially interesting to see the blue screen stuff being set up - this ended up being the least interesting days on the entire movie for me - this stuff took FOREVER to set up and shoot. I worked for a few days - we did like four shots - something with Bob and John, some Koopa stuff, (not Dennis Hopper), something else, and the Scapelli devolve - though that did mean I got to work with the chimpanzee - which was cool then - and kind of scary now! Get thee to the bluescreen unit, ape! Lizard Face Koopa in front of the blue screen on the visual effects unit. Somewhere along the way I was "treated" to a viewing of my first stunt sequence. The Mario brothers jump off a high ledge into a dump truck during their escape. It was just like all stunts being filmed - hours and hours and hours of meticulous planning and rehearsing and planning and rehearsing, followed by a quick burst of filming and its over. In this case, however, it did go wrong - and because of that I gritted my teeth for every other stunt sequence I ever watched. The guys did the jump, and they just sprang out of the back of the truck and splatted on the cement behind it. The story we heard was that the garbage bags in the truck were filled with foam and Styrofoam, and the plan was that they should ALL have large holes in them, or they should have been bagged with as little air as possible in them - but instead they were tied off, unpunctured, and full of air. So when the guys came down into them, the bags were like a springboard of action/reaction and threw them out. Horrible. Now, I don't remember their names - and I wasn't aware of long hospital stays for the guys - the Luigi double definitely broke an arm - but Jeff Goodwin told me recently they were both hurt pretty bad, and I know they were taken away in ambulances for checkovers. "Geez, those guys look hurt." "Wow, now I know why they use stunt doubles." 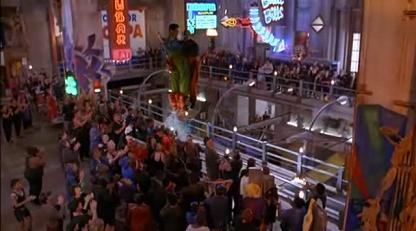 Some other memories I have of Dinohattan: the single longest setup of the entire movie took place on one side near the bar as I was running extras around the stairs up on the other side - an incredible SEVENTY TWO takes of the shot where the necklace drops into Lena's hand. (Lena was a photo double wearing the dress). There was something about the way it happened the first seventy one times that did not satisfy the director (This was either first unit near the end after R-n-A had moved on, or was on one of my other units - I worked on four different units at different times, five if you count first unit twice under R-n-A and then under director of Photography Dean Semler when he finished directing the movie.) But we were all going nuts by the time they wrapped that shot. sit down in them,instead just laying back on her lean board with her feet on a shelf on the bottom. All of the stuff with the cars was crazy - they were only there a few days with the main unit - but they were clunky old cars that never ran as well as would have been liked - one PA assigned to those cars, Teddy, was forever running around with a couple of the Teamsters trying to get or keep several of the cars running while the camera and lights were being set. Late in the shooting, we were doing something on multiple levels, with people all the way up top where Koopa's apartment was, and all the way down to the car area - that was like four levels with the walkway - and I was up top wrangling extras when the 120 degree heat hit me hard all of a sudden - I got faint and everything started swimming - I left my extras with another PA for a few minutes and went down to the relative cool in the bottom - ah, a brisk 90 degrees or so - got a drink from the craft service and took a breather for about ten minutes. down one more level to the "cool" part of the factory. One sequence that really stuck out for me was in Dinohattan - we worked for a very long time getting Big Bertha (Francesca Roberts) across in her jump boots - between the actress going up in the wire rig briefly, to the shots minus Bertha where she was added in later, to her being doubled by Jeff Johnson for a lot of the wire work - that sequence took a few days to shoot. Luigi sailing over the crowd on wires. Over on the donut side opposite end was where I met Yoshi - he was set up for part of his interaction with Daisy - and unlike a lot of these creatures, he was built really well, and the puppeteers liked working him for practice, so they would have Yoshi interact with anyone who wanted to spend a moment with him. He was really amazing. The giant wad of cables coming out of his backside was the only spoiler - and they computer erased those in the movie beautifully. have never been the same. Here's Yoshi's crew. Yep, it took every single one of them to make him fully function. It was on the Dinohattan set while back with first unit that I noticed a lady sitting off camera in Daisy's (Samantha Mathis) chair - turned out it was her mom visiting the set. Then I recognized her - it was actress Bibi Besch, who played Carol Marcus in Star Trek II: The Wrath of Khan! She was a very sweet lady, spending a lot of time knitting off camera. I had actually lined up to interview her for Psychotronic Video magazine, but she left before I could approach her to ask if she'd do it. 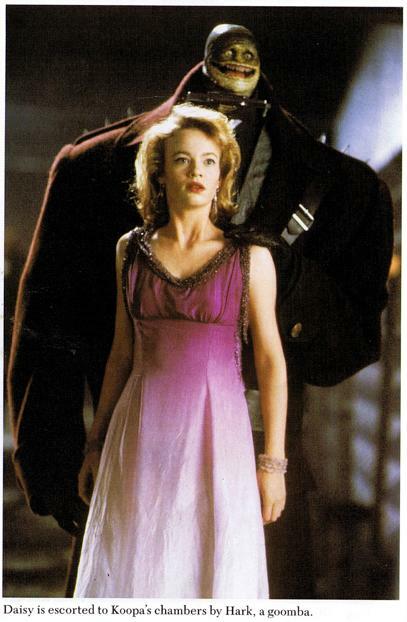 It was during this time I had most of my interactions with Samantha Mathis - she was great - knowing Jeff Goodwin also helped here - as I was hanging around him when I wasn't needed to wrangle or lock up. 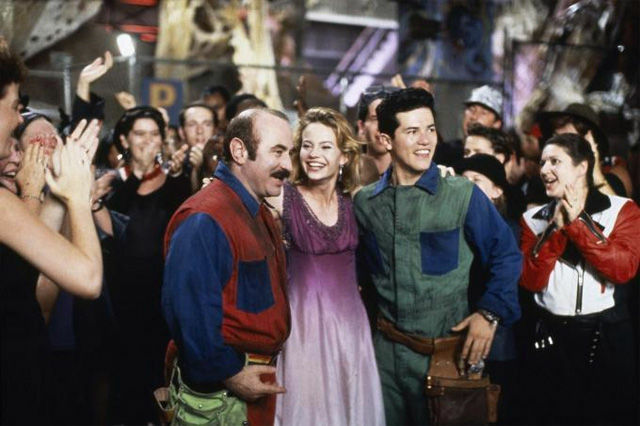 All during this period - there was a lot of talk among the extras and the production assistants and such - about a sequel to SMB. Well, if you read the interviews over at the SMB Movie Archive - they've spoke with people way up the ladder - and pretty much all of them say there was no talk of a sequel. Weirdly, lil ol' me - heard about it constantly in the extras tent. Now, and extras holding tent is Rumor Central - and they fly fast and heavy - as far as SMB2 went - the rumors were incredibly detailed - the story went that shortly after SMB 1 would wrap, James Cameron's Spider-Man (which was in some kind of pre-production and which did scout Wilmington) was going to come to the Ideal cement plant to begin pre-production. 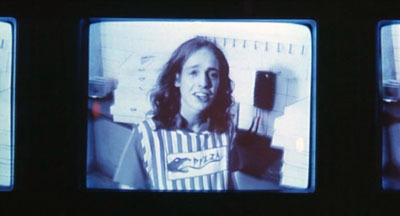 While that was going on, a really terrible script called The Boys of Armageddon High was supposed to shoot as a very low budget "Porky's" style movie there at the plant. 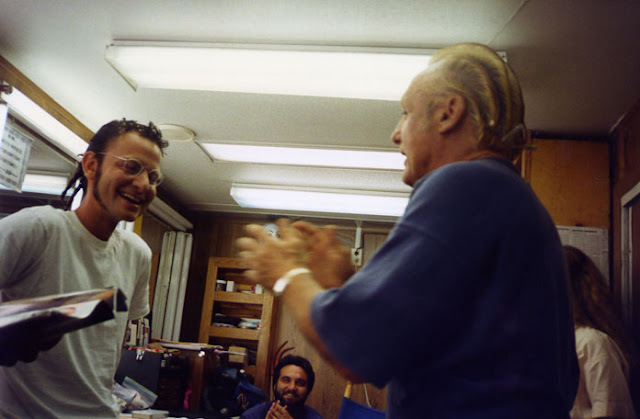 The script was being shown around by someone named Hal on the crew - transpo I think - he and his cohorts had supposedly lined Dennis Hopper up to cameo or play a small role in it. So, SMB out, Spider-Man ala Cameron in for preproduction - Boys of Armageddon High shoots on extremely low budget - then Spider-Man was to shoot, then by that time the preproduction for Super Mario Bros. 2 was to begin, followed by its production a few months later - we were looking at almost solid employment for all of 1993 and part of 1994. Of course, none of the rest of that happened. But the rumors went on for months after SMB wrapped. Jeff Goodwin in the background enjoys listening to Dennis Hopper tell a funny story to Fisher Stevens. The original and credited directors of Super Mario Bros. were the husband and wife team of Rocky Morton and Annabel Jankel. 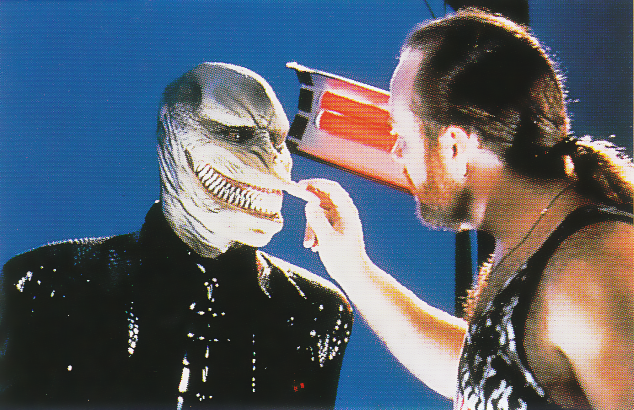 They had created Max Headroom and were thought to be the perfect directors to bring this science fiction fantasy to the screen. But if you read interviews with anyone involved with SMB you will notice Rocky and Annabel are always singled out for abuse and derision. Well, here's my favorite Rocky and Annabel story - one day, first unit was to shoot in I think Koopa's office or apartment. The art department had been scrambling getting the set ready. On the first day to shoot there, Rocky and Annabel come in before crew call to look the set over. They both take objection to the placement of some kind of wall or something. They yell, and point 180 degrees away from where the thing was - like it was the North wall, and they yell "That doesn't look right there! And they both turned and pointed at the South wall - "It should be over there!" And the set designer tells them that the piece was designed to be the North wall, the set only makes sense if it is the North wall and the kicker: to move that piece will require an entire day's work and nothing will be able to be shot there. R-n-A insist. The producers join the battle - trying to get the directors to let it go - they are adamant and stand fast - it must be the South wall. So, the producers give in, the art director orders the piece moved, and the assistant directors scramble to find something else to shoot - and communicate this completely unplanned for new shoot to every department that will need to know - props, costumes, makeup, actors, etc. Okay, something else is shot for the day - the next day, R-n-A come back to the set, where the wall is now the South wall. They stand and look at it for a few minutes, then say "Oh, you know what, you were right - it should be the North wall." And at that point - yes - seriously - they had to do the scramble for something else to shoot AGAIN so another entire day could be lost to moving this thing back to the North wall. Rocky and Annabel. They were a trip. 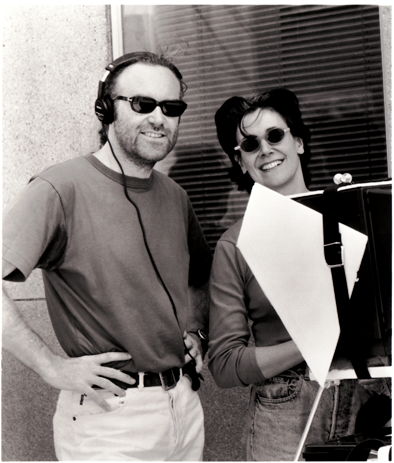 Rocky Morton and Annabel Jankel on the set of SMB in 1992. Photo doubles - for a lot of the wide shots, especially as the camera focused on one or two characters - other characters might be far in the background or something - so for those characters they had photo doubles suited up, with hair and makeup to match the actors so the ones not truly on camera wouldn't need to come to set to be in the deep background - or to provide a shot of a hand or a shoe. 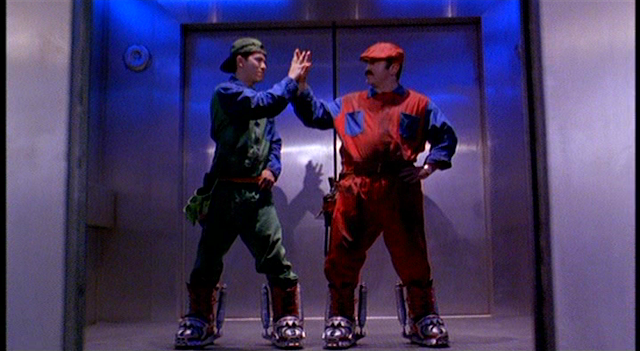 Bob Hoskins brought a man with him who is his exact height and shape - who was his stand-in. Stand-ins do what the name says - they stand in the actor's place for lighting while the actor steps away to have hair makeup and wardrobe touched up or to get into character or whatever. So, the process is, rehearsal, the blocking and lines are worked out - then the actors step out to get ready and the stand ins step in and get lit. So the stand-ins need to be the same general height, coloration, and wear the same color clothes (maybe not exact matches). 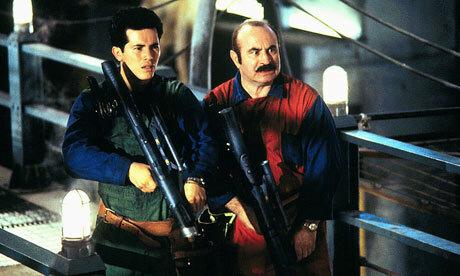 So Bob Hoskins brought a guy with him who was an assistant and a stand-in. He could also photo double in a pinch, but he was not an exact lookalike. Well, they found an extra who did look almost exactly like him. I can't remember his name, Neil something, but he would suit up a lot - and at a distance of 15-20 feet - it was hard to tell them apart. They got Mike C. to photo double Luigi. I forget the young woman who photo doubled Daisy - but she had started as an extra and stand in and graduated up to photo double (each of those is a bump in pay too). She might also have been a production assistant at some point; Mike C was for sure, as was Neil. ...he was also in the movie - as the pizza guy. 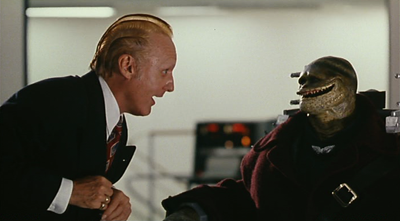 Then for Koopa, they got this very interesting fellow named Fred Allen. He had started out as one of the extra cops in the police station - but he was close enough to Dennis Hopper in appearance that he was picked to be the photo double - he had dark brown hair - which got bleached blonde and would be done up Koopa style each day - and he shaved his eyebrows too - he wasn't as dead on as Mario's double - but he looked pretty good at a distance of 20-30 feet. Fred was a lawyer here in town, and to stay in shape he would roller blade up and down College Road (a very busy road) in Wilmington - would see him out there for years after the movie wrapped. I hadn't seen him for years - and we finally recently caught up with each other at the 35mm screening of SMB here in Wilmington this past June - he was a great guy back then, and that hadn't changed. FRED ALLEN PICS HERE IF HE EVER SENDS ME ANY! HRMMPH! I saw in some pics in the forum somebody talking about the pig lady - she was a good sport - forget her name - but she let them dude her up in black spandex and the pig nose thing - there were three or four of the pig ladies in the donut shop, all heavy set and in the same kind of outfits. The Boom Boom Bar - George Ayash on the left, my female friend from the earlier pic in part one on the right. Betty Grapentine (she was an older woman - had much the same self image as George: imagined herself much younger - hit on the young men - another character - she can be seen singing opera to a fading teen idol in the Wilmington-shot Empire Records). 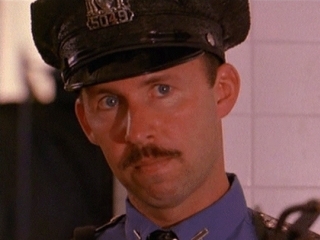 Mike Mott (a professional extra - started out in The Towering Inferno - spottable for sure in some of the Ernest P. Worrell movies - and all over SMB - cop, blacksmith in black spandex - Dinohattan citizen - good guy). 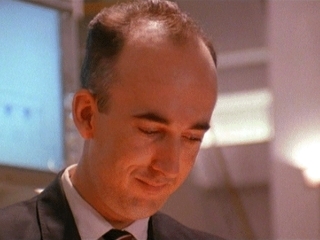 Marc Whitehead (South African fellow - funny, great accent - Dinohattan cop and others). Michael O'Brien (day trade investor turned extra/actor - Dinohattan cop and others). Like the picture says - Phoebe Dollar. Phoebe and Ron Jeremy - friends to the end. Koopa greets his newest Goomba. Goombas standing by - the fans quickly proved inadequate, and air conditioning units were brought in. by off camera effects guys with remote controls. After the police station was completed, the outer area where the car pulls up became the meteorite chamber - and the police station itself was struck and the ice slide tunnel was built in the same spot. It was pretty neat - it went up for the load in platform about forty feet or so - then it went down, with a curve, and then came out probably around the area where the desk sergeant had sat previously. I was elsewhere for the first unit shoot on this - but came on to work several days with the stunt guys and some doubles. We were mainly doing stuff with the Goombas hitting the ice wall, the Goomba sled flip, the two Goombas body surfing the rest of the way, and the inserts for the insertion of the wrench (spanner), and the Goomba boots sparking. The man in charge of the stunt team for this sequence was Warren A. Stevens - who had cracked a rib or ribs doing some stunt previously on the show - but who still suited up as a Goomba and took the run into the ice stalactites! And let me tell you something about those ice stalactites - they were made of the same kind of plastic material that breakaway bottles are made from - but breakaway bottles are paper thin and that stuff is so easy to break the bottles can barely hold their own structure sometimes - but the icicles in this scene were two and three inches in diameter and as heavy as baseball bats - and although I would have thought they would have been scored to break more easily - I don't think they were - so the stunt Goombas were slamming into these things with a fair amount of speed and whammo! We did two or three takes of the hit - it took a long time to get the new icicles in place - it was really cool watching the effects guy make them just offset from the end of the tunnel. I'm not sure how many runs were made with cameras rolling in my time on this unit - but I would guess it was more than a hundred. I also got to take a run as well - it was not as fast as a water slide - but it was a ride! I hope we don't flip! By the time the mattress lands, Rocky and Annbel had been fired and Dean Semler was directing. I saw the mattress flip - the second reason I was never comfortable around movie stunts after that. I was not present for most of the real Bob Hoskins and real Dennis Hopper's interactions on the center walkway, as they were shot mostly sans extras and we extra PAs were not needed for most of that. However, every shot that does not involve a principal actor I was there for - from hand shots to the fireball going in the neon donut, from the larger crowd scenes to Koopa being blown up - here's a weird thing about that - one of the Jensen stunt boys - I'm thinking it was Ethan - was in the Koopa suit wearing the grinning lizard face mask for a few days and they actually blew him up at one point - but the main section of that sequence that you see is from above as a Koopa dummy is flung up nearly hitting camera, then tumbling back down all boneless. I always thought that looked a little silly, myself. I'm not sure why they didn't use much of Ethan taking an explosive one for the team, as on set it looked pretty amazing. I know some of the actors weren't fond of Dean Semler's directorial style - I thought he was great. He was handed a film that had gone way over budget and over schedule and his job was to basically get the damned thing finished and provide enough connective footage to try to make the movie make sense - so there was a lot of pressure on the guy - but he was very personable and wasn't letting that pressure show. I certainly found him more agreeable than I did Rocky or Annabel. Dean Semler on the left in the ice tunnel with a couple of camera crew members. All through this period I should have been keeping a call sheet and a production report for every day I worked for later presentation to the Director's Guild of America - 600 days and you become eligible to be hired as a DGA 2nd or 2nd 2nd AD. However, no one thought to tell me that until late in the show, and I scrambled to grab some copies that were left around after the show had wrapped. Consequently, although I must have worked 50-60 days total - I think I only got about 20 to count for me. With Semler directing we finished out the shoot with the Bob-omb scene. The Bob-omb sequence might have been my favorite to work on, actually. There was a sense of fun and even possibly adventure about getting these shots of this little guy walking around under the main action. 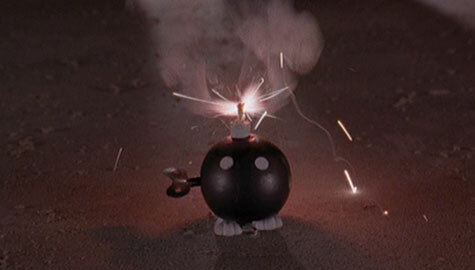 I was around for every shot of the Bob-omb except for Bob Hoskins setting him down. From the first walking shot with the zoom through Koopa going up we shot all of that across a few days or a week. They tricked the little guy up to walk up walls with a rod that ran through a groove hidden in the wall piece. The upside down stuff was shot right side up of course, then flipped in post. The sequence where he falls down the fungus tunnel was basically dropping the guy down the same piece of upright tunnel six or seven times, trying hard not to catch the fungus on fire. They then edited the various drops into one sequence with three or four pieces to it. The Bob-omb in all its glory! You know, the Bob-ombs were surprisingly jury rigged and delicate - cobbled together wind-up toy pieces for the most part - I'm not surprised to hear they are hard to find - they were the workings from a McDonald's Happy Meal toy stuffed inside a painted ping pong ball. 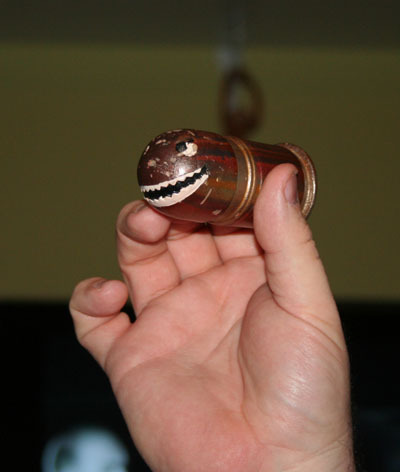 The wind up key was cardboard or paper painted silver, so it didn't even survive along with the Bob-omb prop - which I recently helped Jeff Goodwin sell in an auction through Profiles in History in California. 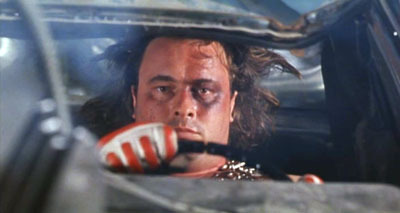 This was also where Best Boy Grip Robert Hoelen got to play the frightened crazy car driver who slams on the brakes to let the Bob-omb walk on by. The only other shots of Bob-Omb were more or different climbing shots - I remember it was difficult to make the little guy look like he was doing the work, and keep the rod helping him hidden and secret. There weren't any other wide shots of interactions with Dinohattanites. Possibly a few other very tight closeups of him walking through other bits of the city. Love that Bob-omb! During this run of production assistant work - I logged another first. The cast of a film is referred to on set as "first team." For example, when the director of photography finishes lighting a scene, the first AD will be told camera is ready. The first AD will then call for "first team," which means bring in the actors and let's shoot. Jeff, watch me blister that newbie P.A. 's ears! 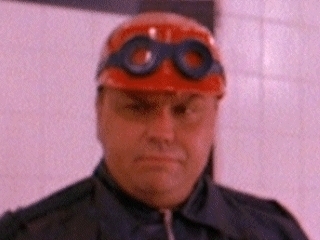 So I'm working on one of the subsidiary units - they started to blur after a while - and we were scheduled to shoot something with Bob Hoskins at the desert area - for some reason, I don't think Johnny was involved in this piece. 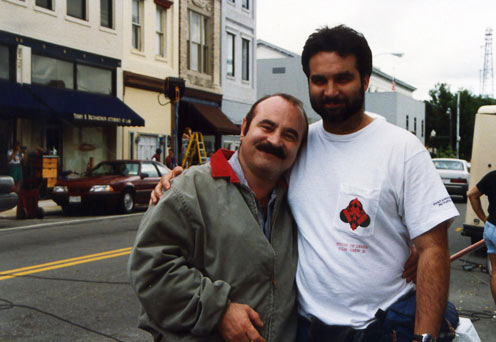 Well, they told me, the PA, that I would be the one to greet Bob Hoskins when he arrived; and that I would let him know that he should go straight to hair and makeup as his trailer was not at the main basecamp near the building - but was instead out at the location to give him an air conditioned place to hang out between takes. So Bob Hoskins' car arrives, and he gets out - his hand broken at this point - and he's holding a big pile of magazines. I say "Hi, Mr. Hoskins, I'm Craig, and they're ready for you in hair and makeup." He smiles and holds the magazines out. "Right you are, and would you put these in my trailer?" I reach out slowly and reply "Well, actually, they've taken your trailer out to the loca--" and I get cut off by a blistering stream of incredible British profanity "mother this and stupid GD that" which I don't immediately realize is being directed at the production staff above me. All I know if that within thirty seconds of meeting the first actor I've ever been asked to "handle" I'm in a swearstorm of Biblical proportions. Apparently as he continued finding ever more ways to guarantee my movie biography an R rating (if not NC-17), Bob sees me starting to fold up like an overused road map. He suddenly cuts off in mid-invective and says "Oh, you know none of this is directed at you, don't you darling?" And I was able to breathe again. Satisfied that he'd done no permanent damage to me, we continued on to the makeup trailer. The movie dragged on so long past its original scheduled end that it's hard to pinpoint when it exactly did come to a stop. But somehow, sometime it did. I came away from the set with some cool swag - the picture of Dinohattan given to the crew; some Bullet Bobs; some plastic chain; a couple of Dinohattan religious pamphlets. The Bullet Bob is real. The hand is fake. As far as seeing Super Mario Bros. it seemed to take FOREVER to come out, so my anticipation was great. And remember that I was still living in the dream where I'd be seen all over the movie and the background scenes I'd set as a production assistant would be comedy gold that would have people ignoring the movie. Then - it wasn't quite that way in the crew screening they gave us. But at the same time, to see all the scenes I'd worked and sweated and bled (don't ask) for playing out--in an audience consisting of all crew members--we had a really good time watching it. Seeing it again later, the movie doesn't hold together all that well. Some fun perfomances, some cool effects - but man that flick is convoluted! back on in Dinohattan. We rock! After SMB I waited in breathless anticipation for the offices for James Cameron's Spider-Man and The Boys of Armageddon High to open. 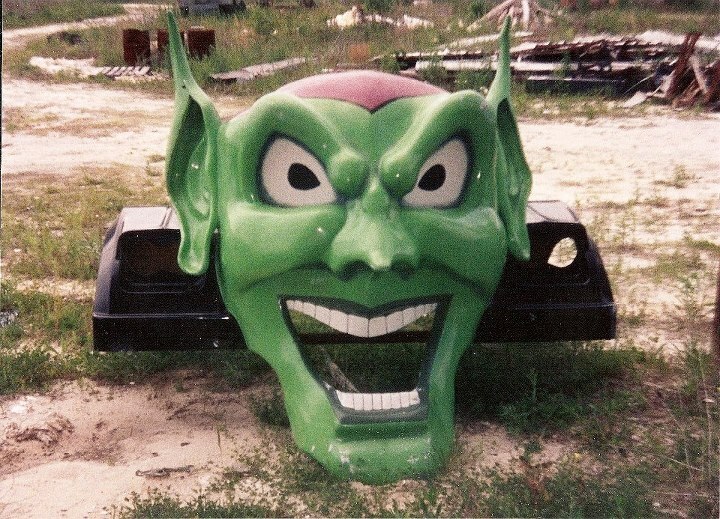 A few months after SMB had opened and closed, I saw that a set piece had survived the end of filming - it represented the final fate of one character who messes around with a powerful energy surge - and that piece ended up downtown in Wilmington as a decoration in a dance club/bar - and that picture was taken there in the club some months after SMB wrapped. As far as my career - well, it was back to some extra work for me - but I also brought a project together that had started percolating on Amos and Andrew, and came to full fruition on Super Mario Bros. With the new friends I'd made on those two sets - it was time to make a movie. And what a movie we made! But that's a story for the next post in this recurring department. Until that post or the next post - you Can Poke Me With A Fork, Cause I Am Outta Here! Maniacal Movie Poster Monday #87! 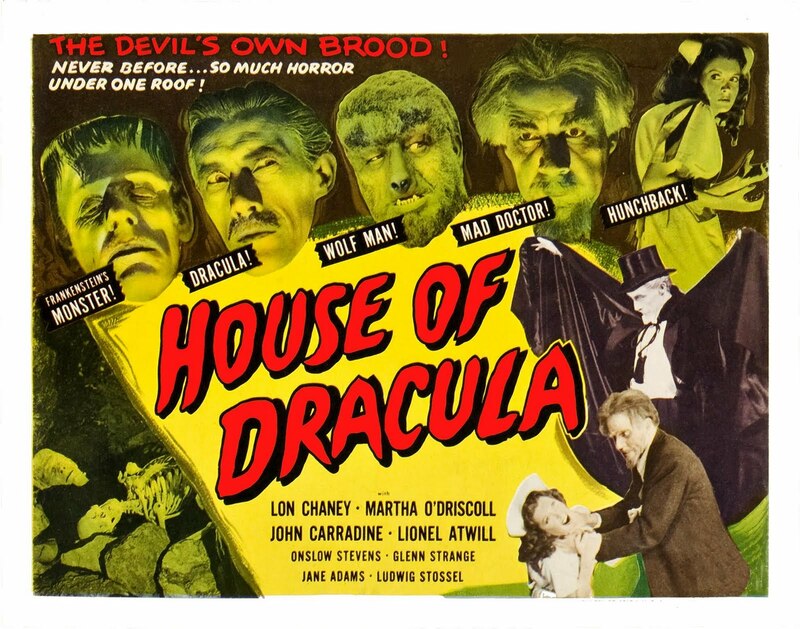 I will always love all the Universal Studios Monster Movies - they were a HUGE part of my childhood. But that said - wow, this was not a bright spot to mostly wrap the series up. Actually, Abbott and Costello Meet Frankenstein three years later is by far the better movie - and I say that was the last movie in the cycle. So there! One of Roger Corman's nurse flicks from the 70's - I think they're all in the video vault now, but I've only seen a couple so far. I like all of the early 70's New World movies - but boy there is a formula and they stick to it like glue! Wow - one I've never seen but boy howdy do I want to - this Teen-n-A flick went through scads of title changes and re-releases well into the 80's - the movie was shot in 1979 and stars Kirsten Baker - the skinnydipper with the incredibly tight jean shorts in Friday the 13th Part 2. But - that poster up there doesn't feature her name - and lists the year as 1982. Also, the movie was directed by actor James Hong - David Lo Pan from Big Trouble in Little China - but for this ripoff release his name's been Americanized to James Hall. Stay classy, Coast Films! And that will bring us to a close - until next time, you Can Poke Me With A Fork, Cause I Am Outta Here! Saturday Night at the Movies 9/22/12! 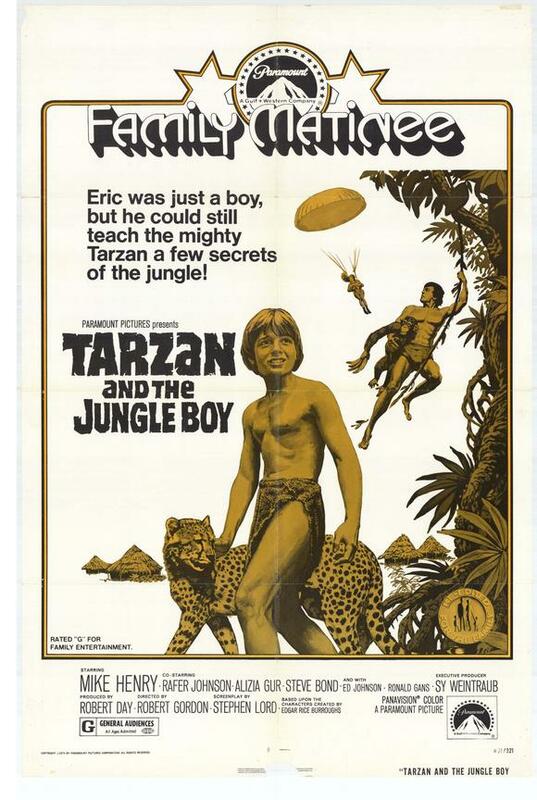 I've always been a Tarzan fan - all the way back to staying up and watching the old movies on the Late Late Show with my brother in the wee hours of a summer night. Back then I couldn't tell my Johnny Weismuller from my Lex Barker - but I'm a little better at identifying the dozen or so different guys who strapped on the loincloth across the years. In the 60's, former NFL star Mike Henry suited up as the jungle lord - and when I say suited I'm not kidding - as that trailer shows - they went back somewhat closer to Edgar Rice Burroughs original conception with a Tarzan who could prowl city streets in a suit, but would always go back to nature when the jungle called. 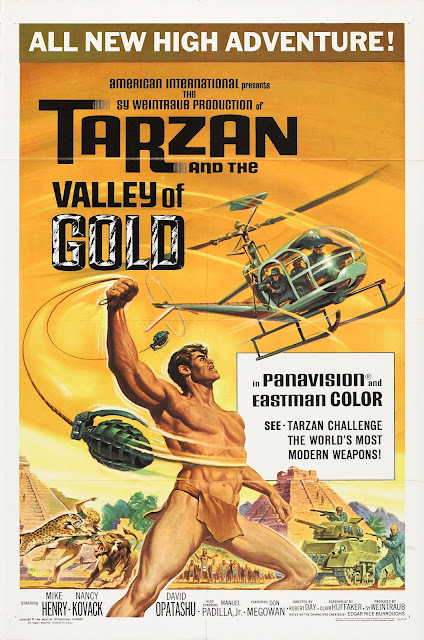 These three mid-to-late 60's Tarzan movies are also obviously influenced by the 007 movies, making Tarzan a bit of a jungle James Bond. Maybe that's one of the reasons I like Mike Henry in the role (though he's not the greatest actor in the world). 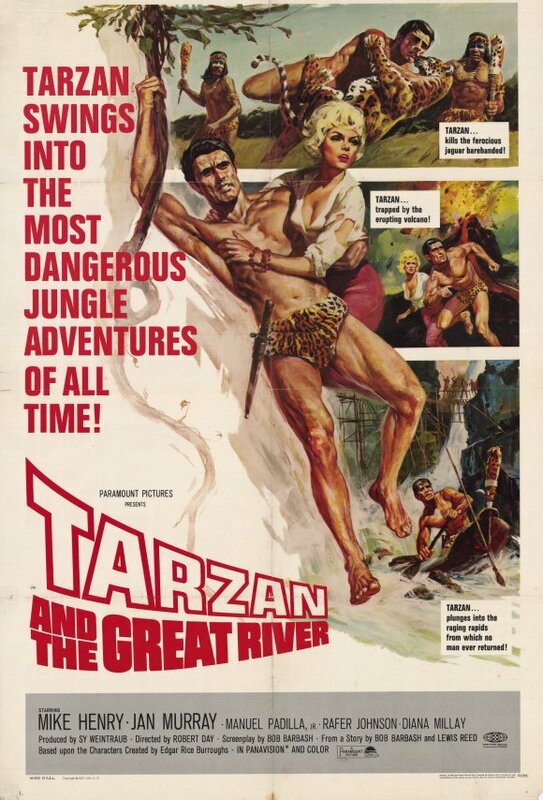 Mike Henry's second Tarzan movie is on a par with the first - swingin' 60's adventure a go go! Let's not waste any time - right to feature three please! The kid here is played by Steve Bond - who went on to play an adult heartthrob on Genral Hospital and play one of the Abilene boys for Andy and Arlene Sidaris! They probably would have continued with more Tarzan movies starring Mike Henry - but he got pretty banged up on this flick - and wouldn't you know it? It was the dang ol' monkey's fault! 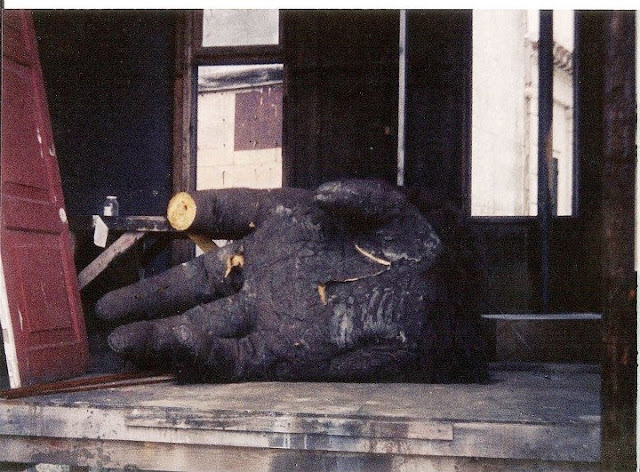 Seems ol' Dinky the Chimp didn't take well to filming - and he flipped out, working Henry over more than once during the movie. The last time was the worst, as Dinky bit Mike in the chin, requiring 23 stitches and leaving Mike Henry fevered and unconscious for three days. Mike Henry and his chimpanzee bait chin. After recovering, Mike didn't feel the film's producers were any too concerned for his well being, so he broke his contract and sued the stuffing out of them. He later went on to play Jackie Gleason's doofus son in Smokey and the Bandit. Before I digress too much - I just had Warner Bros cobble me up all three of the Mike Henry Tarzan movies onto made-to-order DVDs in glorious anamorphic widescreen - and we could make this triple feature happen anytime - even tonight if you want to come hang at my joint! I Was a Teenage Production Assistant: Super Mario Bros. Part One! Here it is - after three posts that did NOT feature me as a production assistant (OR a teenager, for that matter) - here at last is the post where I actually start being a production assistant! Before we get to the movie represented by that poster, however, I'll cover one other production I was around briefly during this period. Simple Justice: The Thurgood Marshall Story was an feature-length episode (or maybe multiple episodes) of the PBS series American Experience. I must have gotten on the lot (MUCH easier to do in those days) and turned in a resume - and I got called in to talk to the production office coordinator about working with them as an unpaid office intern. I took the position - but I told them that any extra work from Amos and Andrew would have to take precedence, as that paid. They agreed, and I started work on Simple Justice on the next Monday morning. So, an office production assistant can handle a lot of duties - just like a set production assistant - office PA's might: bring in the morning bagels for the office crew; make coffee; do copying, printing, and faxing; pick up people and equipment and cart them around hither and yon; retrieve and lay out lunch for the office crew and producers; facilitate script readthroughs; and 1,000,006 other things. The problem was - I knew little to nothing of any of this - so I was not a great self starter. I also barely knew my way around town, so making runs was a real problem. I sat around the office for a few days, doing bits of this and that. A copy here; answer a phone there. Eventually I wandered off with my camera on my lunch and took some pictures of stuff I'd found while wandering around the studio. After a few days of this - I got in to the stand-in work on Amos and Andrew, and I let the Simple Justice people know I was going with the paid job. It turned out that Simple Justice had a heck of a cast - but I never saw a'one of them. Even Samuel L. Jackson stopped over on a day off from A and A and played a bit part - just to be in the project. Maybe I should have tried harder to say around SJ, as sometimes an office PA in pre-production can become a set PA during production. But alas, it was not meant to be. 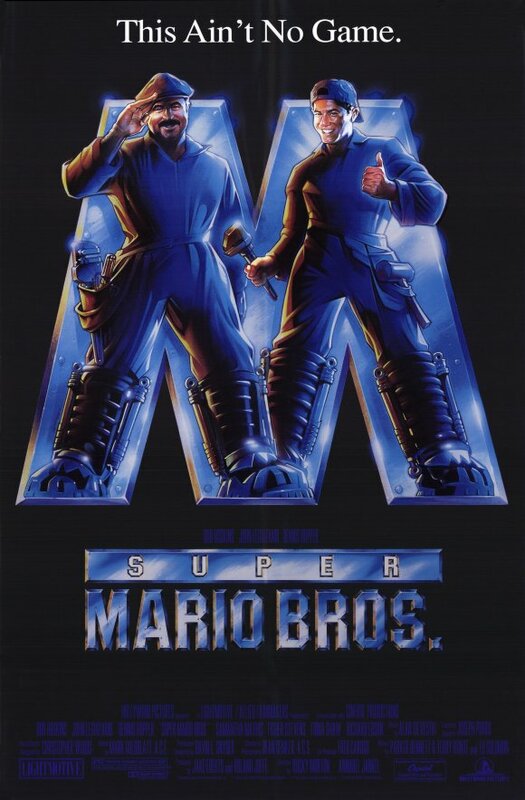 The rest of this post - which will be my jumbled up memories of working on Super Mario Bros - is actually a cobbled together re-edit of an interview I did for the Super Mario Bros Movie Archive. I apologize for the random nature of it - if you've never seen the movie everything following might be well nigh incomprehensible. If you have seen the movie it might only be confusing. 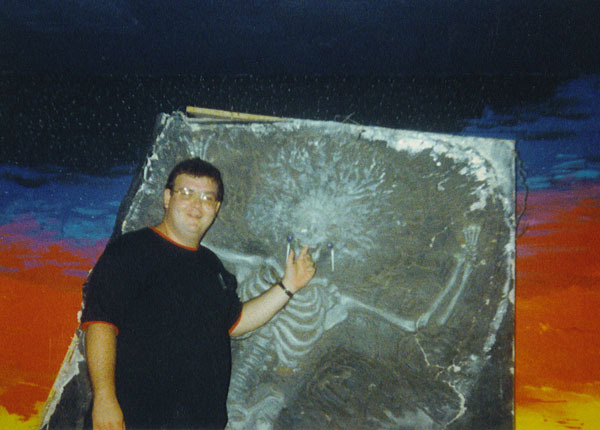 In the spring of 1992 (for those just joining us) I got hired to play a television crew guy in some scenes in Amos and Andrew which were shot off and on starting in April and into May or maybe even June. Having showed that I was a good, punctual worker, the extras casting lady told me a new movie was shooting that was going to need a lot of extras - Super Mario Bros. So I got listed for that movie as an extra too, somewhere around mid April or May 1992. SMB was going to be bringing in 300 people a day as Dinohattan citizens for the big days - and there were going to be a LOT of big days.. I alternated working on both movies off and on for the rest of Amos and Andrew's production period. When it wrapped, I just kept working on Mario. My very first day on SMB I was an extra, and as I had yet to meet Stefania or Jeff Goodwin, I was just one of around forty or so extras for the day. The sequence to be shot was the police station. I had worn dark clothing as requested, and I was scruffed up a bit by extras hair and makeup. I was chosen to be part of a chain gang, but not I think attached to the Mario Bros. I remember being taken to set, and first goggling at the sets, then meeting a prop guy, who gave us some plastic chain painted silver. Several of us extras "chained" ourselves together, and in the scene we're struggling with a couple of cop extras, being dragged into the station or around the station. While shooting this sequence, at one point during some downtime I got the chains off and wandered off away from where they were shooting to ogle the sets some more. I ran into an actor I recognized, but could not name. I had seen him in a horror movie called Blue Monkey a few months previously. I mentioned the title of the movie as an introduction, and Don Lake smiled at being recognized. We chatted for a couple of minutes and he was very pleasant and nice. I went back to shooting a few minutes later and didn't see much more of him then. 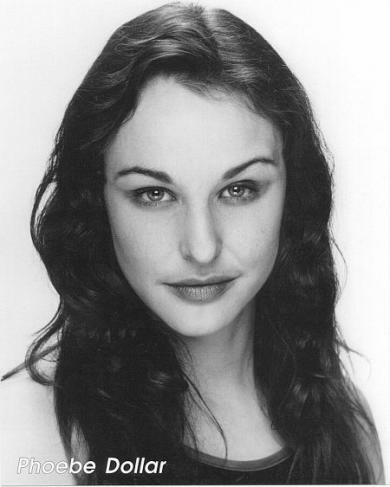 During the early days in the police station I met one of the assistant directors, a young woman named Stefania Girolami Goodwin, who took a liking to me and my enthusiasm for the work and film knowledge (her father is an Italian director whose work I was familiar with) She introduced me to her husband Jeff Goodwin, who was the key makeup artist on the movie. 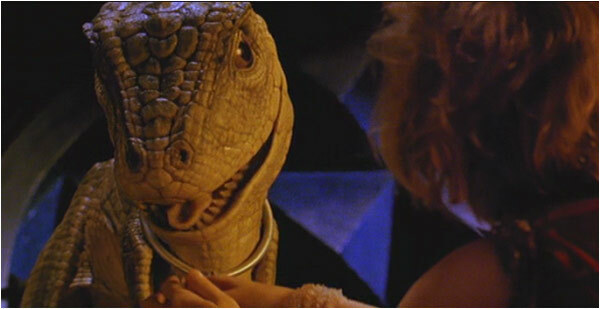 He also took a liking to me, so now I had two solidly placed contacts on the movie. Back at the police station, we shot in there for a couple of weeks. Eventually I moved into one of the cages (actually a few cages over several days) and spent a LOT of time wishing I'd slipped a paperback book into my pocket. However, during my cage time I was positioned one up and over from Mark Miller - my first meeting (of several over the next few years) with him - we later worked on Radioland Murders together among others - I was fascinated by his lizard man makeup and really enjoyed chatting with him. Mark Miller as "Lizard Man"
I also got a visit from Rocky Morton - who climbed into my cage, looking for something - not sure if it was a glint or gleam he was seeing down below, or possibly scouting some new camera angle that would drive the crew crazy - but I mistook him for one of the assistant directors, which made our chat a bit prickly for the few minutes he was in my cage. 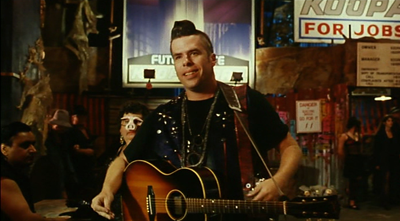 He then left and that turned out to be my one direct run-in with the directors.At one point later I was also one cage straight up from Mojo Nixon - also a very nice man who entertained everyone as much as he was allowed with his impromptu playing and singing on set. I had to show the wild haircut they gave him. The extras and actors had to be loaded into the cages with scissor lifts, and it was a long and laborious process, so once everyone was loaded, they just kind of left us in there for hours on end. Eventually, seeing some folks being released for drinks and bathroom breaks, I also scored a trip back down to the ground for a while. While up there, I did get to watch the fireball that sails across the room - that was cool. It was an effect done again on the Dinohattan set later more than once - but it was my first on-set special effect in the cages, so I remember that one warmly (pun intended). The cages. I might be one of these people. One of the cage nights we were out in the holding tent outside, and a ripple came through the crowd - Dennis Hopper had arrived on set! We didn't expect to see him at all until we got to set - but danged if he didn't march right into the tent and tell us all hello! He stayed for a few minutes, chatting with some of the extras - and I got to shake his hand and tell him how much I'd enjoyed his work. He was terrific. He then got bustled off to makeup hair and wardrobe I guess, and when next we saw him on the police station set he was Koopa. After the police station sequences - including the seemingly neverending days in the cages (a sequence that takes up about four minutes in the movie) we geared up for the biggest extra days - and Dinohattan! Before we get to that truly incredible set - by this time Stefania and I were friends, and she'd introduced me to Jeff. 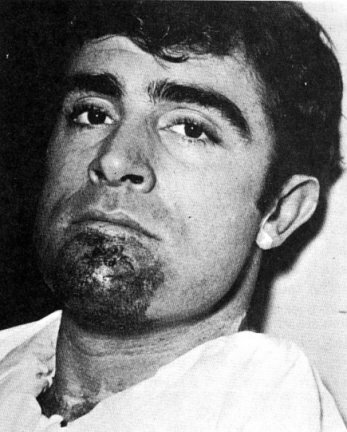 Now, I've been a fan of special effects makeup forever, and found a real kindred spirit in both Jeff and Vinnie Guastini, who was doing some of the prosthetic work on SMB. When Jeff found out how much I was interested in the process, he chose me to wear one of his latex pieces for the movie. I got to sit in the same chair that Bob Hoskins sat in for makeup! Jeff cleaned my forehead of oils and dirt with some alcohol on a cotton ball, then allowed it to dry. He then applied adhesive to my forehead and applied the piece which was positioned high over my right eye almost on my temple. 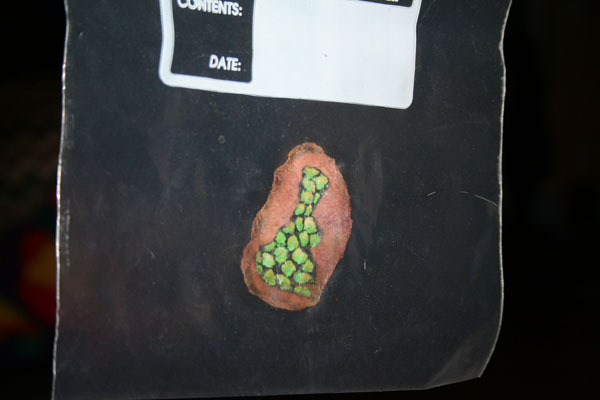 Once it was in place, he did the delicate work blending the edges of the piece into invisibility, then spent several minutes painting the scales green and making the "skin" around the burst area angry red. When he was finished, Stefania took me to the head of the line for hair in the extras tent and personally worked me over as can be seen in the picture I uploaded this evening. She gelled my hair and worked it into a "slick guy" kind of look. Once that was done, she then took me to wardrobe so they'd give me something special, and I ended up in a black shirt, purple patterned tie, and a shiny silver and purple vest. With this in place, I felt like I was going to be fourth billed in the movie after Hoskins, Leguizamo, and Hopper. As we have seen, that was not the case. I don't remember the young lady's name. I wish I did, as she was a sweetheart. But on to the next set. Dinohattan. Dinohattan. Wow. What a set. What a place. 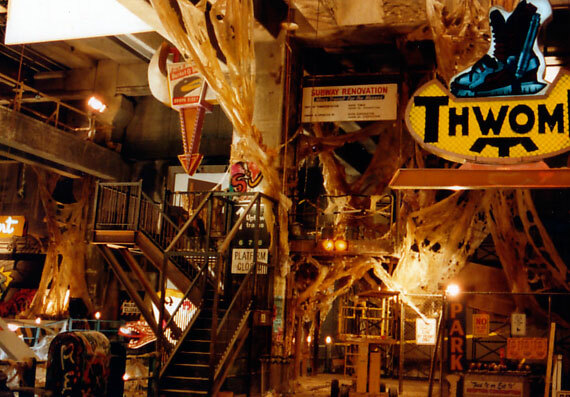 It was truly awesome - and even after tromping in to it nearly every day for four months, it was still an amazing place. My first introduction to the place was as an extra, after we'd finished that round of shooting on the police station set. The first time we were taken in I was a moving bystander on the Boom Boom bar side - in the pictures above (which I'll refer to as the bar side from here in.) They got us all in, and my first action was just walking down from the movie theater end all the way to the bar. Simple as that. I don't even know what was being shot or where the camera was. Unlike a lot of the extras on that set, I was still a newbie, being my fourth time on a set, third as a true extra. 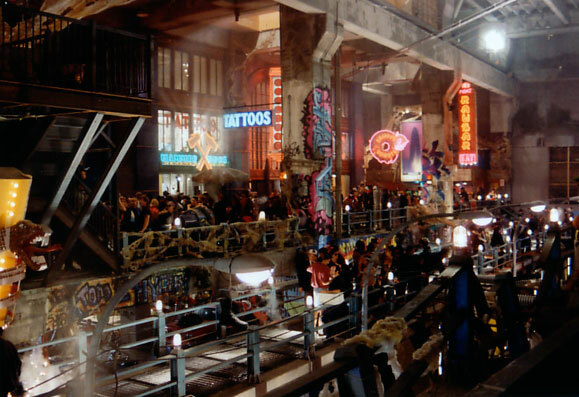 And this was by far the biggest set and biggest movie I'd ever been on. So I was just being dazzled by all the sights and sound and energy and bustle around me. I wasn't consumed by the need to find the lens and battle my way to it. I eventually learned to at least get some idea of where it was I went on, certainly. During the downtime between setups the first few days I managed to check out all the doors (locked or not real for the most part) and sidle up into all the nooks and crannies on the bar side. I think of the three sections on that level (counting the walkway, even though it is a bit lower) I think the bar side was the safest. It took a few days, but we gradually spread out the 300 extras across all parts of the set, and I took turns being on the donut shop side and the walkway, although the walkway was a bit boring because there was less to do on camera there unless you had some good props (like a fishing pole). The donut shop was a particularly hot place to be stationed, so I tried to avoid it. Basically they would like the camera up, and during the lighting of the scene we would rehearse our actions (with constant cries of "QUIET PLEASE!" from 2nd 2nd AD Anthony D'Esposito) and finally shoot it. Repeat for 12-14 hours, usually. 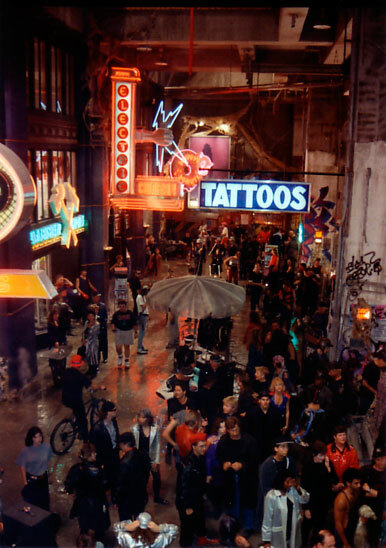 Usually a set stays the same for the most part throughout shooting - but Dinohattan got a one side makeover somewhere along the line. After we'd been shooting on the set for some period of time, on the far end away from the bar, a giant billboard of Koopa kissing a baby appeared, and back where the set originally just kind of faded back into being a cement factory, more stuff was added, like the movie theater facade and other bits and pieces. I'd be interested to hear why this happened. 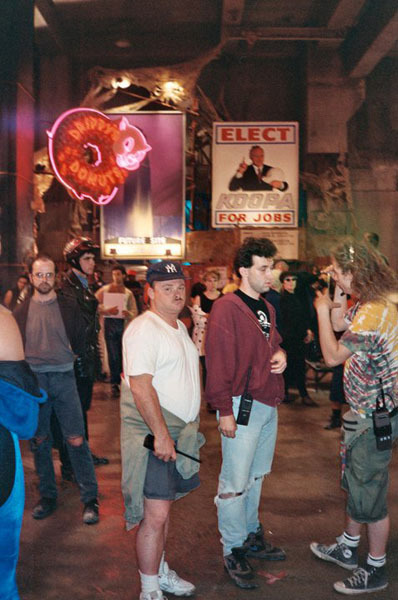 I don't remember exactly when it was, but after Dinohattan, and I'm thinking before downtown with second unit I was briefly hired to be a lighting stand-in for Jeff Pillars' character. Over my standard issue black t shirt and dark jeans I had to suit up in a cheaper version of the gear Jeff wore. Wow that made it an already hot set that much more toasty! After a set up or two where I stood in for him, I think Jeff got a little weirded out having a stand-in and he in effect dismissed me, standing in for his own self. I was not truly dismissed however, and I stayed around helping out here and there. Don Lake was there, and the two technicians and some Goombas. It was shots of the technicians working, Don Lake being dragged in, stuff like that. I would think this would have been pickup stuff that first unit had missed that the script supervisor indicated would be needed by the editors, so they geared up the smaller unit to shoot the inserts and shots not involving the top listed cast. I only worked on that set for a day or two. 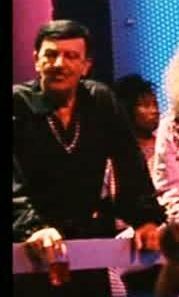 Kevin West was somewhat famous at that time for starring in a very manic Domino's pizza commercial but he was fairly muted on set, as was Jeff Pillars. They joked some, but no big flareups or anything. It was still a fun piece of the production for me - my first stand-in work! Here's a weird story - the one I already ran in my Amos and Andrew post - the only time in my entire production career I pulled something like this off. I mentioned before that for a period there were two films shooting in/near Wilmington: SMB and the comedy Amos and Andrew. (Young Indiana Jones was also in town right around this time). Well, I worked on SMB one day as an extra - during the police station. I went in early, like 6:30-7:00am. Worked all day, getting released for the day with no callback for the next day around 7:00-8:00pm. I got home and found a message one of my roommates had taken that said Amos and Andrew (which shot only nights) needed me as a extra - so I quickly showered, changed, and jumped back in my car and headed out to that set (on the other side of Wilmington from Ideal Cement). I arrive around 8:30-9:00 and discover they are happy to have me. I figure I'll shoot all night on A& A, then sleep all the next day. It was a looooong night. Around 4 or 5 am I was really sleepy, but I muddled through the rest of that evening into the coming dawn, which was always A&A's wrap time. I stumble back into the apartment around 6:00am, and find a message that apparently had come in five minutes after I'd left for A&A the night before requesting me to come in for another day's work on SMB! And by golly, I needed the work and the money! Another shower, another change, and I drove back out to the cement plant, now past the 24 hours up with no sleep mark. I worked all day on the police station set, and most of the day is a blur. But on the back side of the day, I was sent into an office in one of the station hallways with the direction to "do office-y stuff" behind the frosted glass office windows while first unit shot some kind of action scene out in the hallway. I walked around the desk, talked on the phone, sat at the desk, rummaged in the drawers (found the first set of "sides" (mini script of just one day's scenes for the actors to use throughout the day)) I'd ever seen in that desk...anyway, there was a long lighting setup in there, and they just left us on set as we were out of the way and quiet, and I started drifting badly, not quite sleeping, but as close as you can get. Thankfully this early in the show they weren't needing to go 18 hours (yet) so they wrapped (or wrapped us extras) around 5-6 pm. I somehow managed to drive home, now 36 hours in and no sleep. I had no call time for either show and was planning to meet some friends for dinner. Got back to the apartment, half afraid that Amos & Andrew would have left another message for me - not sure what I would have done there, but thankfully they didn't. I got to my place, planning a shower before dinner, sat down on my bed - and it was suddenly the next afternoon. Slept straight through like 18 hours or something. On single shows, I had some 18s on SMB, hit my record of 22 hours twice, (with those stories to come) but the combo SMB/A&A got me an amazing 30+ straight hours working! But back during my time as an extra I wore my special outfit and had the Jeff Goodwin scale patch on for a few days, however, the other assistant directors were all guys, and they were more interested in featuring the hot young women close to camera to score points, so I never got featured. Then thankfully Stefania started using me as an extra "extra wrangler" on set (in effect, being a low level production assistant (PA) for her). Even while I was still working as an extra, she started to have me set far background in some of the wide shots of Dinohattan. The funny thing is, it was my fourth experience on or near a set (Superboy and A League of Their Own preceded Amos and Andrew and SMB) and because the setups were long, I would have time to really set up some intricate stuff in my section of the shot - I did a full on slapstick comedy sequence with chains of events (guy 1 steals wallet from guy 2, who then can't pay for his rat on a stick but he's hungry so he takes it and the vendor starts chasing him - that sort of thing) and then when I saw the movie - the shot all that work was supporting was the rat creature looking up at Big Bertha as she lands in the jump boots - everything that isn't the rat or the boots is completely out of focus. *sigh* And that happened a lot. On subsequent movies I learned my lesson, found out what the shot was and provided background appropriate to what was needed. It was a hard shoot - there's no getting around that. It was the depths of summer here in Wilmington, so it was HOT. And I'm talking about the exteriors downtown and the desert. Then there was the Dinohattan set - WOW HOT - it was metered at 120 degrees up on the third level at one point, and it was a cool and refreshing 95 or so down in the bottom area where the cars ran. So there was always discomfort. It was also not the safest set - Dinohattan was a rough place - and that extended to the set - sharp metal jutting out, flooring that could be less than structurally sound and was taped off except when cameras rolled - the sparks that were falling down in shots - if that stuff hit you - OUCH! All that said though - it was a good time. My friendship with the Goodwins was not the only one I developed. I have friends still that I met on that set. All of the setups were pretty long, and often the extras will be brought in (especially if there are a lot of them) so that they're already in place when the shot is ready, so we stood around a lot and joked and cut up. 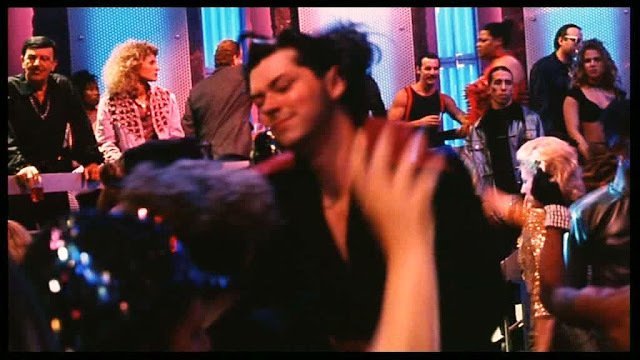 The guys over at the SMB Movie Archive told me that the superfans of the movie actually watch the background closely - looking for new tidbits to marvel at - and they love how busy the background is. 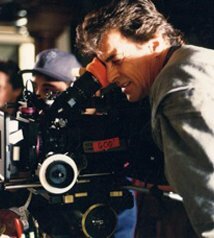 As far as that background goes - well, not to sound too full of myself - but the odds are better than half that the background that is catching the eyes of the fans might well have been set by me, as I was there almost every day for Dinohattan and started working with Stefania early. Even after I stopped strictly working as an extra and moved over to production assistant, it was agreed that my work outfit every day would be a black t-shirt and dark jeans, so I could be in shots if necessary to direct action without standing out. The biggest example of this was when Bertha jumps across to the bar - when she comes down on the walkway in the middle, I'm right on camera on the sidelines of her landing point, directing the extras to clear out for her landing. That was pretty wild. Per Stefania's directive, I was out there on the walkway with 30 or so people, and had them milling about and moving ala Dinohattan. And then, several times across the course of a shot I would bellow "CLEAR!" and all my people would spread away from a central spot, which was for Bertha to land. And for these shots, Francesca was not there - she was going to be added in later. She did have to go up on a wire rig briefly - but she was also doubled - by a man - and weirdest of all, that young man was the nephew of Fred "Rerun" Berry from TV's What's Happening. 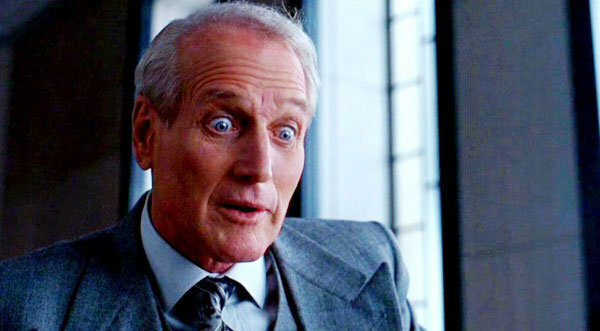 The nephew's name was Jeff Johnson, and I can't figure out which of the 50+ Jeff Johnsons on the IMDB he is. 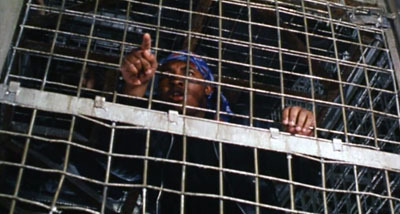 But you get a good look at Jeff in the police station sequence - they cut to him briefly in the cages at least once. 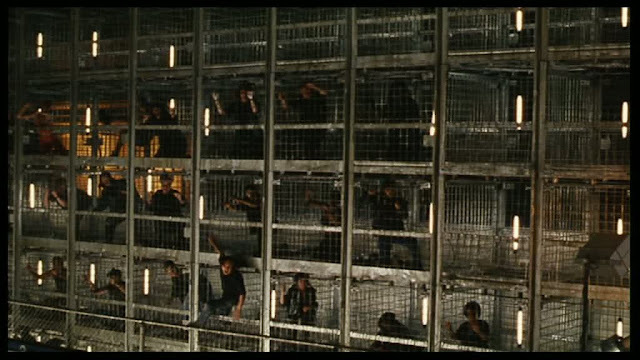 I was in there too, but only in wide shots - about three cages over and one up from Jeff. Jeff Johnson. Nephew of Fred "Rerun" Berry. to production assistant to stunt double across SMB. Back at Dinohattan - we moved on to the Boom Boom Bar. The Boom Boom bar was really located inside as an interior set to the Dinohattan exterior set - which was an interior set (!) Yes, they built them big on Super Mario Bros! We shot in there for a couple of weeks or so. It was hot (as all of the interior of the cement factory was). This was another place where the assistant directors excelled at placing the attractive young women closer to camera. I am barely seen sitting at a table along the wall, and then in one cut as the camera shows the walkway outside I come by and watch a person who jumps/falls off the walkway. If you remember that person, I'm the guy who comes up back to camera and looks down. (We extras added a bit where I'm pickpocketed and chase off after the thief, but not sure any of that is seen as the shot cuts pretty quick). Back inside the bar, I also am on the edge of the huge crowd shots during the dancing - that was my first such scene - and I was flabbergasted as they had no idea what song would be played in the movie, and had a representative song they only played long enough to give us the beat, then cut the music so they could record live sound as the boys make their way through the bar. 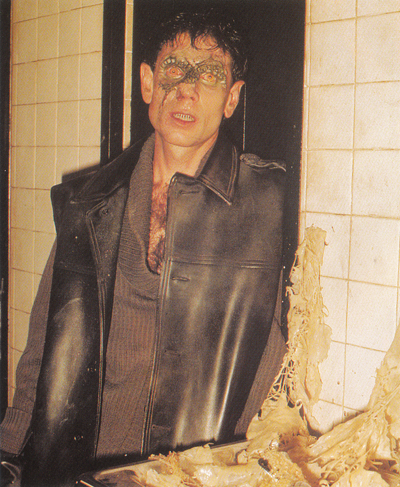 I do not remember the Spike/Iggy rap - wonder if that was shot later by a unit I wasn't working on? And yes, it was really hard for everyone to maintain one beat, and do it silently, so there were a lot of cuts in those wide shots. It was just like everything else in the movie - intricate, long, and hot. But as with the rest of the filming - we still had some fun. It was around this time that Stefania started using me as an additional PA - and as soon as I fulfilled this last round of time I'd promised to the extras casting people, I stopped being an extra and moved over to working as an official (and paid) production assistant! At long last! Huzzah! And since that's a nice stopping point - we'll split this murderously long pile of anecdotes into two - and mark this as the end of part one! Part two will post next week at this same time - but the regular department posts will go up in between - until then, you Can Poke Me With A Fork, Cause I Am Outta Here! Hey! When do we get our turn in this thing? We even brought cake! Maniacal Movie Poster Monday #86! Saturday Night at the Movies 9/15/12! Lee Van Cleef and Arpels! Saturday Night at the Movies 9/8/12! The Video Vault of Mora Tau 9/5/12! Maniacal Movie Poster Monday #84! Saturday Night at the Movies 9/1/12!